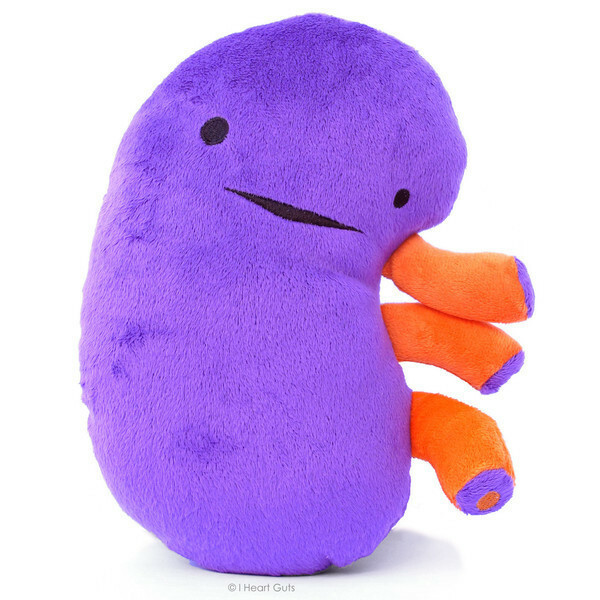 Gigantic and amazingly soft 9" x 8" kidney plush comes with a spectacular booklet-style hangtag filled with drawings of kidneys on ice, kidneys having tea, plus info about the magic your kidneys make every day. The kidneys -- most folks have two -- process your blood, picking out the extra waste and returning nice clean blood to your body. Extra water and waste pulled from the blood become pee!